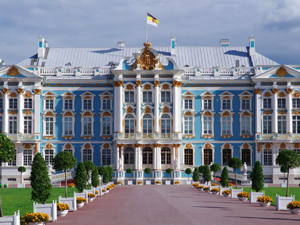 Meet your guide at the hotel lobby and drive to Pushkin (Tsarskoye Selo) to explore the charming Catherine Palace. 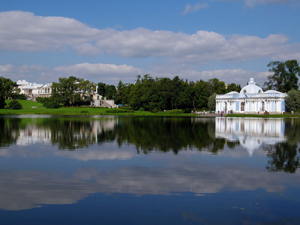 Pushkin is one of the most fascinating suburbs of Saint Petersburg located 24 km to the south. It was the main summer residence of Russian emperors in its origin. The first name of the town was Tsarskoye Selo, then it was Detskoye Selo and since 1937 it took the name of great Russian poet Alexander Pushkin. Enjoy walking through its beautiful parks and gardens and looking at its magnificent interiors and rich facades made in Baroque style. 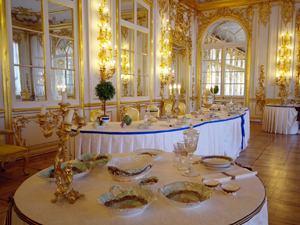 The jewel of the Catherine Palace is the famous Amber Room which is fully decorated with amber panels backed with gold leaf. Thanks to its unicity, it was sometimes called the Eighth Wonder of the World. Transfer back to your hotel at the end of the tour.